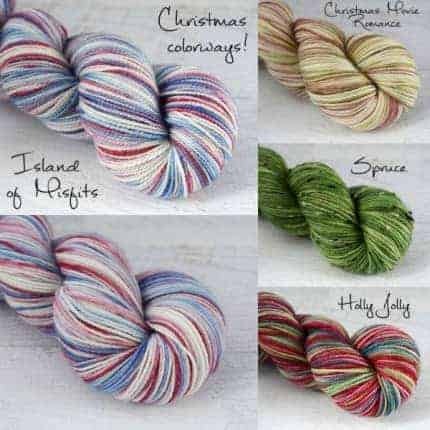 Last Chance for Christmas Colorways! Lots of Cozy Christmas mini sets have been added. 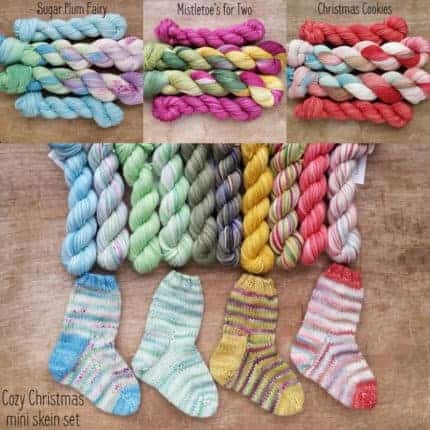 Now is great time to start knitting mini stockings for a Christmas advent for next year. The minis would also look great as squares in a blanket or used to knit ornaments for your tree. Rainbow Brite heel/toe sets are also back in stock in both the full sized and shortie socks sets. 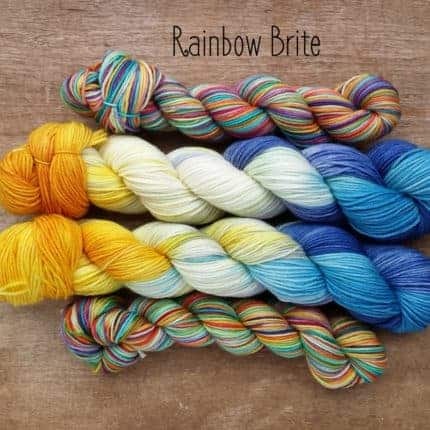 This set is unique from our usual sets because this one features a rainbow heel/toe instead of the usually semi-solid mini skein. It’s been a busy month of dyeing, winding, and more dyeing. 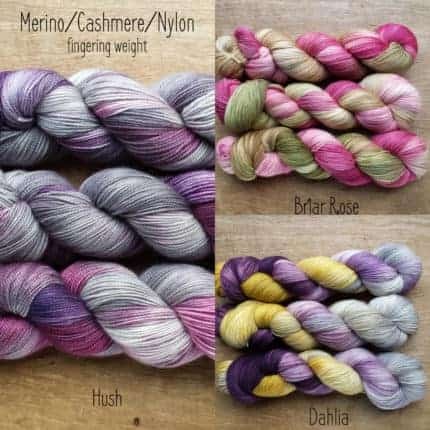 I’ve been working hard to stock the shop and bring back lots of popular colorways for this years holiday sale. This Wednesday, November 22nd, the entire shop will be 20% off, including the sale section. Wednesday morning I will be stocking the shop at 8:00 am EST so if you see something you can’t live without, show up early. 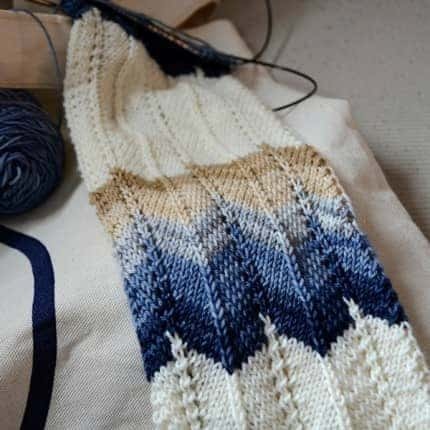 I will be adding lots of heel/toe sets in both full sized and shortie sock size. 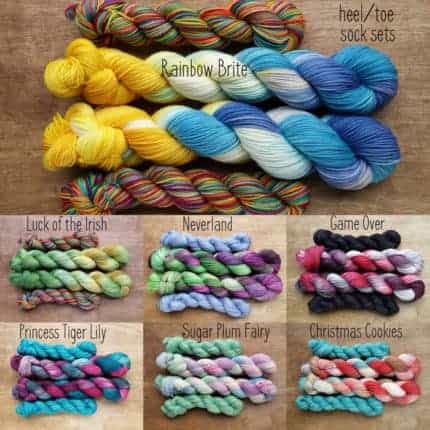 I am also bringing back the rainbow toes sets with a new colorway, Rainbow Brite, along with our old favorite, Luck of the Irish. I will also be adding more of our newest MCN base, along with more skeins of our sport sock. 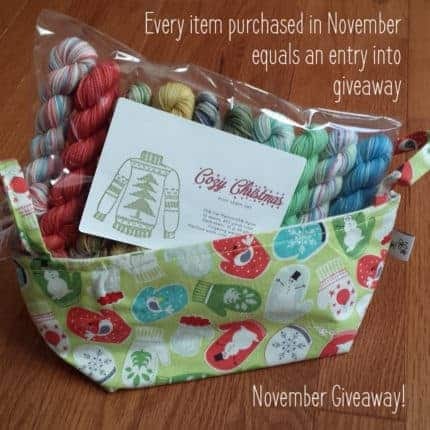 In addition to the sale, every ITEM purchased during the month of November will enter you into the giveaway for a set of Christmas mini skeins plus a cute project bag and some extra goodies. The sale and the entry period for the giveaway will end at the end on November 30th. I will be drawing the winner on the 1st of December. 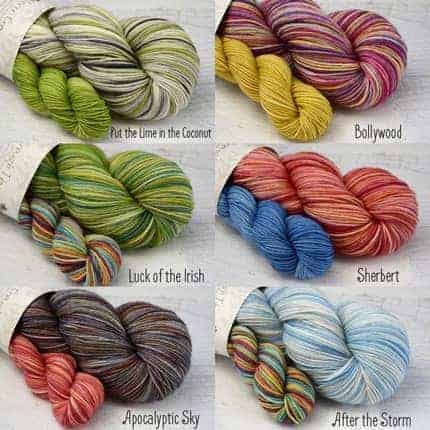 Thanksgiving yarn sale and giveaway! We will be updating our shop Wednesday, Nov. 25th at 8pm ET. 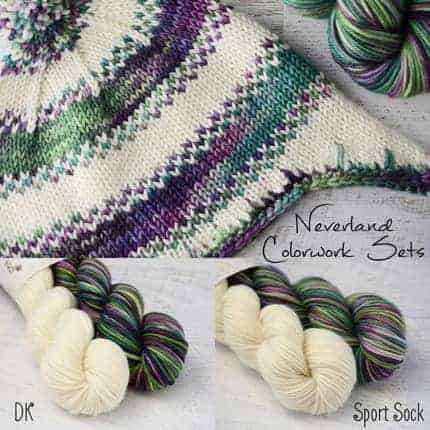 This update will feature lots of heel/toe sock sets, sparkling sock yarn, and our new Neverland colorwork sets. From Nov. 25th through Nov. 30th use the coupon code THANKS to receive 20% off. 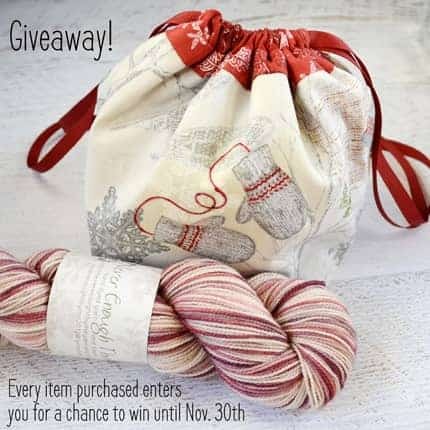 As a thank you to our customers, every item purchased in the month of November will enter you for a chance to win a Sock Sack sewn by me and a skein of yarn dyed up just for this giveaway (plus some extra goodies). So all of you that have already purchased from us in November are all ready entered in the drawing!! 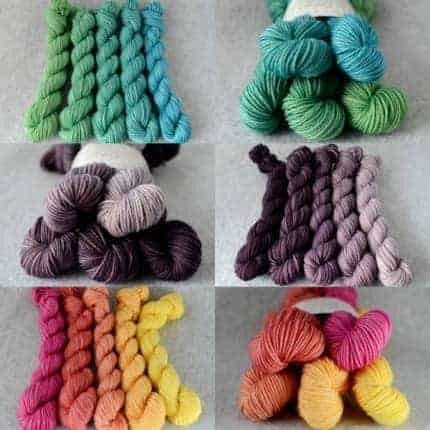 In addition, there is a SECOND bag/yarn set that you will be entered to win for every item purchased from my shop from Nov. 25th until Nov. 30th. So if you purchase yarn during the our big sale you will get two entries to win a bag/yarn set for every item purchased! I will be drawing the winner’s names on December 1st. Christmas and Pan inspired colorways! Our Christmas colorways are now available! My favorite is Island of Misfits, inspired by the classic Rudolph the Red-nosed Reindeer. We also have Christmas Movie Romance, Spruce, and Holly Jolly. 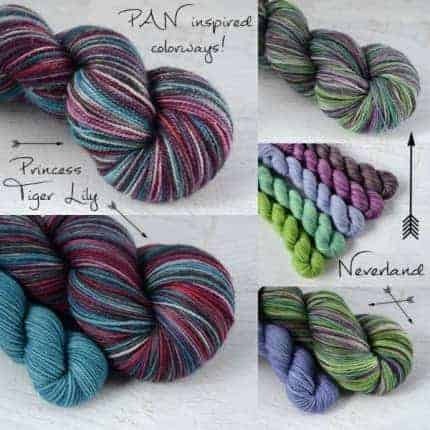 We also have two new colorways inspired by the movie Pan. I don’t care what the critics say — I very much enjoyed the movie and found it very inspiring color-wise! Neverland was, of course, inspired by the beautiful land and sky of Neverland. Princess Tiger Lily was inspired by the beautiful costumed clothes she wore. 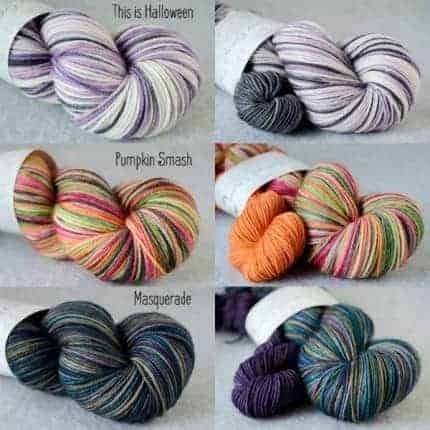 Halloween and Autumn colorways plus a giveaway! Our new Halloween and autumn colorways are now available in our shop! One of our new colorways for Halloween, This is Halloween, was inspired by one of my favorite Halloween movies, The Nightmare Before Christmas. My 7-year-old son also created a colorway for Halloween which he named Pumpkin Smash. Our last Halloween colorway is called Masquerade, which I’m actually thinking of carrying all year round because I love it so much! 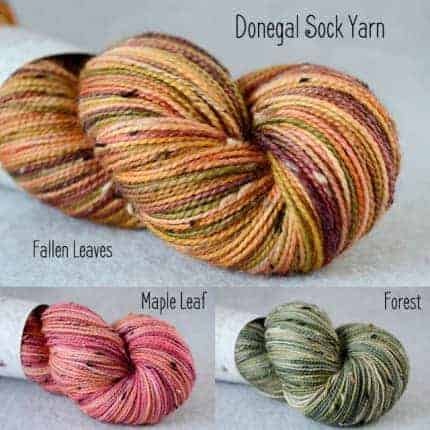 We also have our Donegal Sock Yarn back in stock for the fall. If we are out of stock of something you want, please contact us! We’re always happy to do custom orders. Also, be sure to check out our Facebook page! We have a giveaway posted that will run until the end of September. To celebrate Mother’s Day we have a coupon code to share with you! From now, until May 20th use the code, MOTHERSDAY2015 to receive 20% off your purchase. 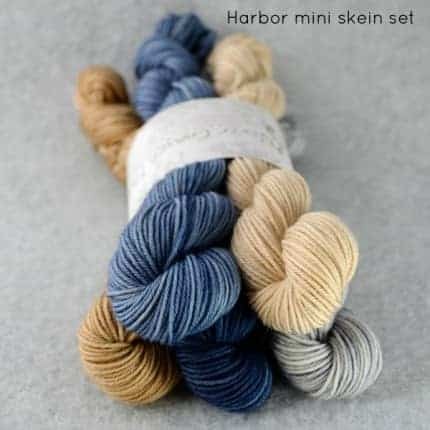 With the discount, now would be the perfect time to try one of our mini skein sets. Several new gradients have been added recently! Hi everyone! 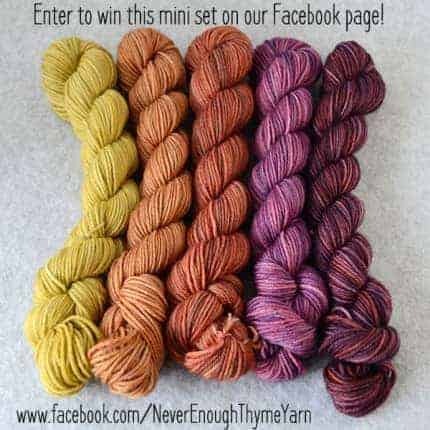 I’m Katie, one of the dyers behind Never Enough Thyme. 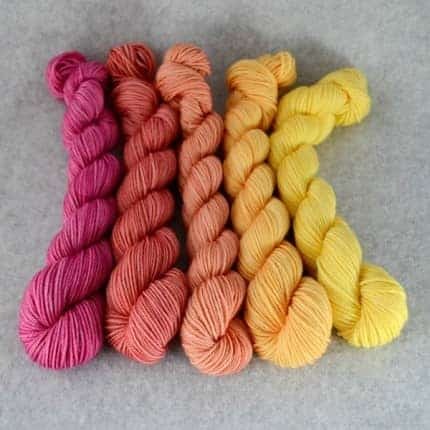 We sell hand-dyed yarn and fiber. 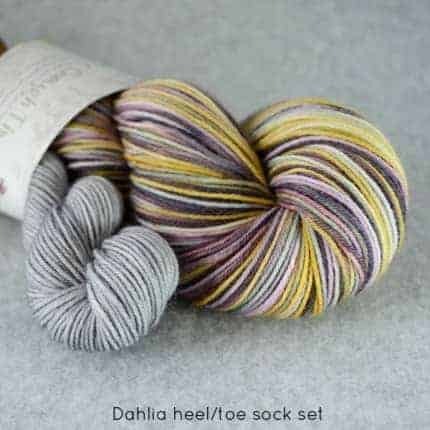 Some of our most popular products are our heel/toe sock sets, which include a full sized skein of sock yarn with a matching mini skein. The mini skein has enough yarn to knit the heels, toes, and cuffs of a pair of socks. 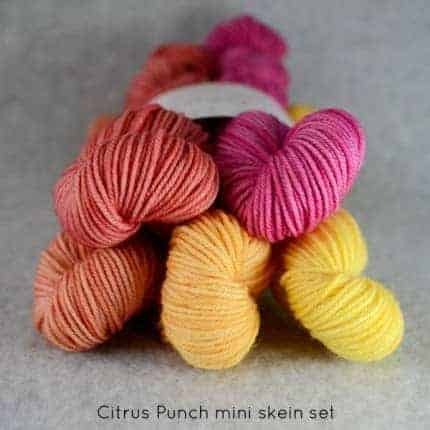 We have also recently started selling mini skein sets which have enough yarn to knit a shawl, a pair of socks, or can be used with other yarn in a larger project. 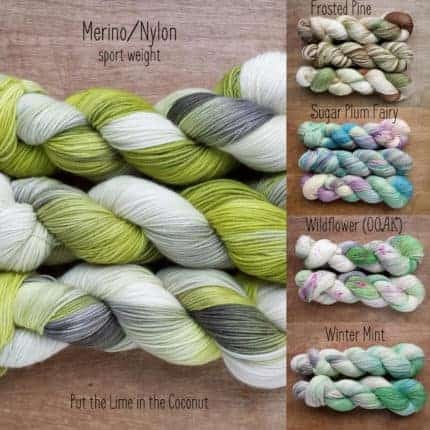 If we are sold out of one of our colorways, or you are looking for a colorway on one of our other bases, be sure to contact us! We are always happy to do custom orders.